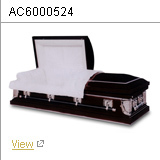 Twenty gauge caskets are the most economical of ACE Funeral Products line of steel caskets. 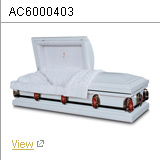 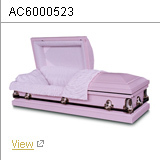 This type of metal casket is available in a variety of styles and colors. Many 20 gauge caskets feature a one-piece rubber gasket that helps resist the entry of outside elements into the casket. However, some 20 gauge caskets are manufactured without a rubber gasket and these are referred to as non-gasketed steel or NGS. 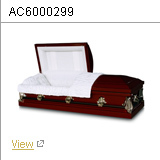 Contact us to learn more about our steel caskets.